Entire plant harmful to touch. See Notes. Perennial plant, 30.48-127cm (12-50 in) tall. Leaves and stalk covered in stiff, stinging hairs. 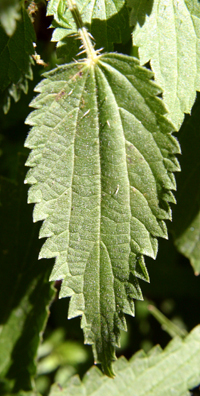 Leaves are ovaloid, toothed. Flowers are green to yellow in color in clustering branches. Male and female flowers are found on separate branches. Found in disturbed areas and waste places with moist soils. Ranges throughout most of North America, from Alaska and Laborador southward. Leaf tea brewed to treat anemia, gout, rheumatism, enlarged spleen, internal bleeding, diarrhea, and dysentery. Leaves have diuretic qualities. Folk medicine states an occasional sting alleviates arthritis. 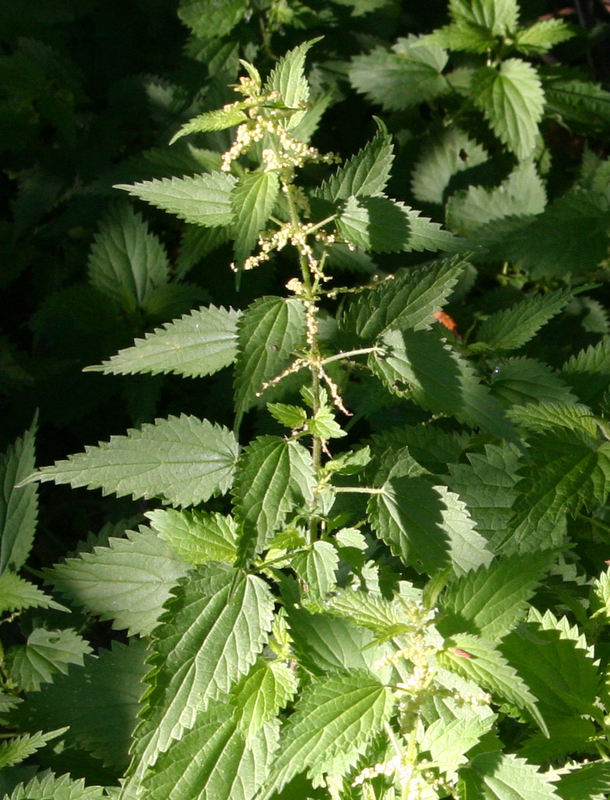 All parts of Stinging Nettle are painful to the touch and may cause dermatitis. 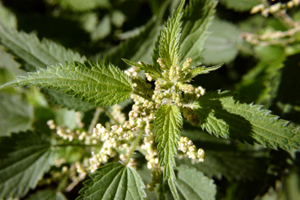 Stinging Nettle affects the white blood cells and aids in coagulation and formation of hemoglobin. Leaves are iron rich. Studies suggest stinging nettle decreases the effects of adrenaline. Germany recently approved the use of roots for prostate cancer, rheumatism, and kidney infection. Russia approved use of leaves in alcohol as treatment for cholecystitis (inflammation of the gallbladder) and hepatitis. Stinging Nettle stings with histamine, acetylcholine, 5-hydroxy-tryptamine, and formic acid.